Next exhibition will be a drawing installation. 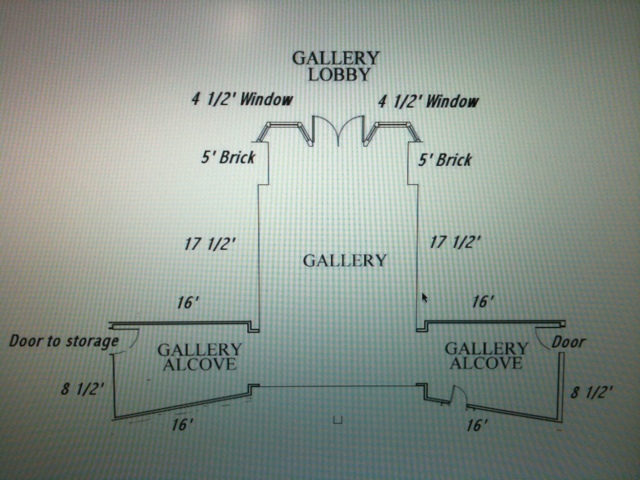 The Gallery at the Ann Felton Multicultural Center at Onondaga Community College has a unique floor plan, which has “T” shape. The entrance area, I call Main gallery, is about three 17 feet long walls, and one of the wings, called “Alcove gallery,” has two 16 feet long walls and one 8 feet wall. I am going to install 32 documentation photographs of the making of “threshold” in the two Alcove galleries, and a new drawing installation will be installed in the Main gallery. This entry was posted in art, exhibition and tagged accord, art, exhibition, general, install, new work. Bookmark the permalink. Support for the victims of earthquake in Japan. Stony Brook University: Art Dept.